Apparently people had commitment to theme in EDH on their minds this week. With Modern wrapping up, we got some got meta stuff, the long answer to “Why do you play Magic”, and the first Finkel article in 10 years! All these and more in Gathering This Week’s Magic. First off, if you’re just a small MTG content junkie, you can try the MTGSalvation Radar page. It lists all the content for each day from most of the biggest sources. This is a good daily snapshot, although a few sites aren’t included. Or just keep reading Gathering This Week’s Magic! I go through it all to choose the best written, most interesting, relevant, and fun pieces from the Interpipes. Johnny Magic (obligatory link to the Jon Finkel Wiki page) doesn’t write articles. But for PT Gatecrash he did. Tom Martell won the Pro Tour, and Sam Black’s The Aristocrats sucked… All right, that was a cheap ploy. Obviously, I don’t mean that last sentence—my scarf actually won the Pro Tour. Yes it is that awesome, which is why I’m including it despite the subscription wall. Two GPs took place. #GPUtrecht was a combination of team sealed and team draft, and the Swedes did their thing. To be honest, I didn’t watch this at all, but I do know the winning team had a scarf-er among them so it couldn’t have been all bad. #GPSD hosted modern, and between Tweets about good sea food and warm weather, I guess they played some Magic. Nathan Holiday, who viewers understandably and amiably (although not very creatively) nicknamed “Carrot Top,” won out with Eggs against a field that produce a top eight of eight different decks. Although listening to the commentators say “Ajundi” all weekend was painful, the moment when Brian Kibler “F6’d” (a reference to Magic Online, where the F6 ky yields priority until your next turn so you don’t have to pay attention) was certainly funny. Apparently he also called a judge on day one to “F6” and go to the bathroom while his Eggs opponent executed his combo. That’s why he’s the dragon master. The Star City Games Open Series in Washington DC gave us another look at Standard, which will by the GP and PTQ format for this coming season. David Bauer won in the Junk mirror with a common take on reanimator, defeating Jon Gross’ midrange build, which played three copies of the “ridiculous” Undying Evil main – go ahead, look it up. Brian Cook took down the Legacy event, piloting a fairly stock The Epic Storm list and defeating a brand new American Delver in the finals. For a more in-depth look at all three events, check out Mana Deprived as usual. The Standard metagame is a little undefined right now, and I’m not the one to grind through piles of 4-0 Daily lists from Modo to take a guess. Midrange – probably Junk – followed by aggro dominated the field in DC, according to Vigabool’s weekly data crunch. Although this is something of a brew, QSpec’s Ryan Overturf takes a look at the Kibler DomriNaya deck that Eric Froelich piloted to a top eight at PT Gatecrash, which many think has a place in the current meta. Also, for what it’s worth, I haven’t been giving magic.tcgplayer much love in GTWM for whatever reason, but if you want more tournament reports from the average (meaning really good at Magic) mid-level grinder, check their stuff out. This weekend is PAX East. You’re not there? Me neither. Sigh. Anyway, the MOCS (Magic Online Championship Series) championship is being held at PAX, and they’re using a special championship cube. 16 players including Magic’s own Keanu Reaves Jedi Reid Duke will be competing, and you can watch streamed coverage on the MTG twitch channel starting at 3PM ET BUT IT STARTS ON FRIDAY.. Just a heads up. Pros and grinders head to #GPPit in Pittsburg this weekend for Gatecrash sealed and draft, and probably some horrible weather. But no stream, unfortunately. Lastly, we’ve got more Standard at the SCG Open Series #SCGKC in Kansas City, as well as Sunday Legacy for at least a while longer. Enjoy it while you can, because SCG Legacy every Sunday is a thing of the past. Some weekend, like next in Orlando, will host other formats. Do you snap force Boros aggro or read the signals and cross your fingers for the open Simic deck to be good? Rada Keld is ready to help you decide. This is a must-read for newer drafters, but has some solid analysis that even vets can appreciate. Whether it’s AJ Sacher literally shouting, some more mellow musings from Drew Levin, or the measured words of Caleb Durward, one of the best beards in Legacy, write about Brainstorm and I’ll read it. And this prose is no slouch on quality. 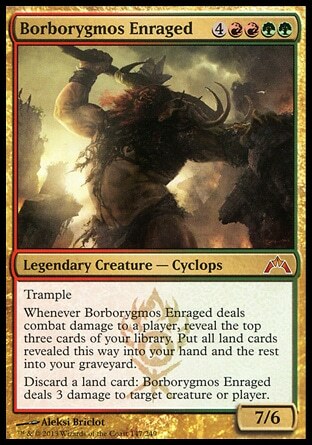 On to Modern, the season may be over (although you wouldn’t know it from prices on TCG Player), but everyone wants Bobo to be good. One of the most interesting things about control decks is how they can run so many one-ofs and two-ofs. Here are some tips on how to decide when that’s the right call, presented in the context of Modern. It’s Standard season. Check out the fastest and mid-rangier of the aggressive decks you might want to suit up. If you’re worried about all these value decks, check out some ideas on Junk rites and other tech for the WBG green mirror, a la last weekrend’s SCG Open finals. Now this is a brew. We get all the black manas. All of them. And then Travis tells us to Run, wolf. Run! Last week we talked about You Make the Card #YMTC. Well there’s a runoff between Land and Enchantment, as the vote difference was only a few points. The community has been burning up arguing it, so I picked one of the many impressive arguments for each side: #TeamLand and #TeamEnchantment. (P.S. Go team land!) And…. enchantment won, much to the chagrin of apparently everyone on my twitter feed. They should announce the winner Saturday, so I’ll update this with that info or you can just check DailyMTG. One-time MTG designer Gregory Marques offers up some interesting insight on what it was like to design the GTC mechanics. I love the “Social Contract from Below” series, and this week’s discussion of what makes a “good” game of commander resonates with me. Mostly, this week was about how to do an EDH (OK fine, Commander…) deck right. Start off with the steps to building a good theme deck from Jules Robins, followed by two ridiculous examples of the awesomeness that ensures: a #ScoobyDoEDH deck from HobbesQ and an exhaustive exploration of a word chain deck. Get inspired. More financial writers means more awesome info. Friendly Twitter-er Corbin Hosler discusses the five attributes that make a trade “good” for everyone involved. These are some valuable soft skills if you live in a small pond, which is what Magic still is by the way. If you want some great graphs and insight into the best way to maximize the value of your cards, check out this MTGPrice (my new favorite way to check prices on the go) blog post about when buylisting makes you more money. Dear lord this alter. Klug killing it on a Lotus – it’s a big gif so be patient. Anndddd then you read an interview with Terese Nielson, one of the most prolific and important artists in the game’s history, and you’re even more art-happy. She’s a rock star. Lastly, check out the CommanderCast coverage of the coolest life counters and 3D alters in a while. If your guild were a cereal, which cereal would it be? Find out from the best Vorthos around thanks to Gathering Magic. The issue of women in Magic seems to keep coming up more and more often, and it’s awesome cuz females love Magic too and that’s more than good enough. Whether this is an issue of perception, or more ladies are coming out of the woodwork as their sisters tear things up at the top tables is a different question. Kristina Musachia looks at life in the trenches, working as an LGS employee. And it’s not all pretty, as you must have suspected. A late Friday addition to GTWM, I felt this piece from Craig Wescoe was too good to leave out. If you’ve ever struggled to find the words to explain to an outsider why you love Magic, this may help. We’re trucking along and getting more readers. As usual, I just link to what I think is either relevant to what’s going on, super awesome topically, or written very well. That’s also why I leave Modo (and this week’s DotP14) out. But it’s subjective, so let me know what you think. If you have comments or questions, post below or shoot them to me on my Twitter handle @MdaveCs. GTWM is a work in progress and I’d love ideas of how to evolve it to make it more useful and fun for you. If you’ve got something sweet in the works, send me a timely link and I’ll check it out and share it! no problem. I thought her writing and perspective was so reasonable and balanced – reading it was very enjoyable. happy to give her credit. please pass on my kudos. Glad you like my articles. As someone new to the mtg writing community, it is nice to get feedback. Hope I can keep it up. yep. totally. Big fan. 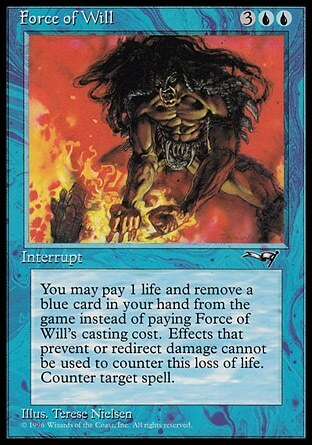 writers who really “get” EDH are few and far between. Check out generaldamagecontrol if you don’t already read it. Cass, the guy who writes it, is also on the same wavelength. Anyway keep it up. maybe i’ll have something constructive to say at some point.